Today we're sharing a lovely Thanksgiving pumpkin vase DIY from Shauna Krantz from Ella and Annie Magazine. How great would this look on your Thanksgiving table! I can't believe I never thought of this before! 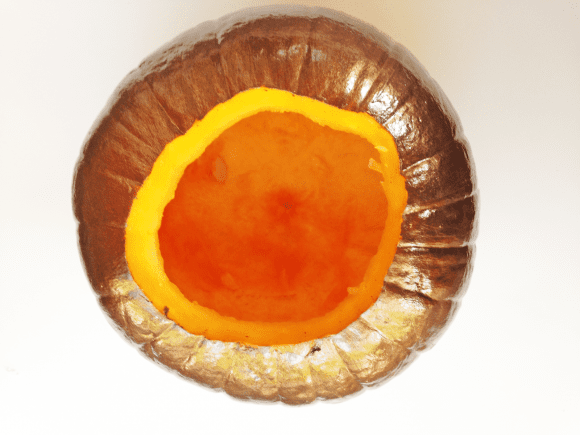 I see these beautiful pumpkin vases everywhere now. There are so many options! So I decided to paint my pumpkin vase before adding flowers. Super easy to make, you can even put your kids to work! 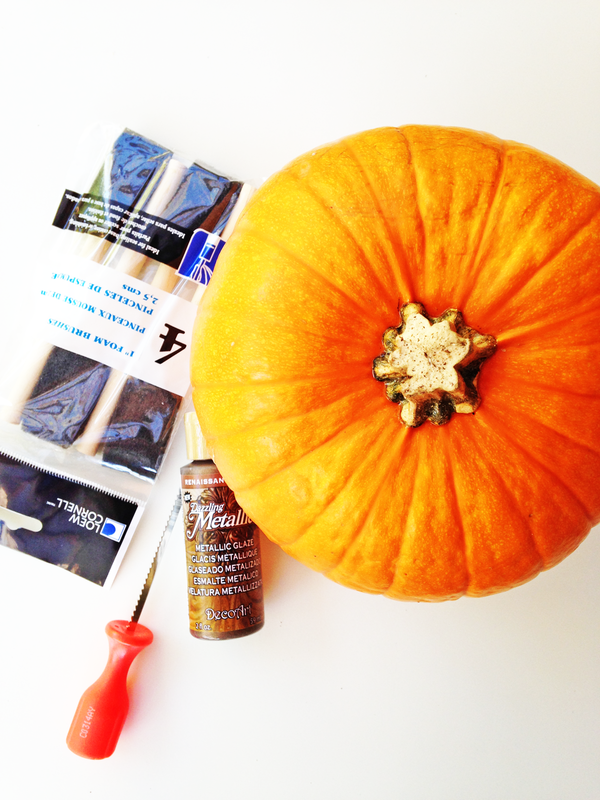 Paint your pumpkin! The metallic paint I used was fairly thin. I would recommend putting a solid, thicker coat of a similar color first. Then paint over the solid color with the metallic paint. 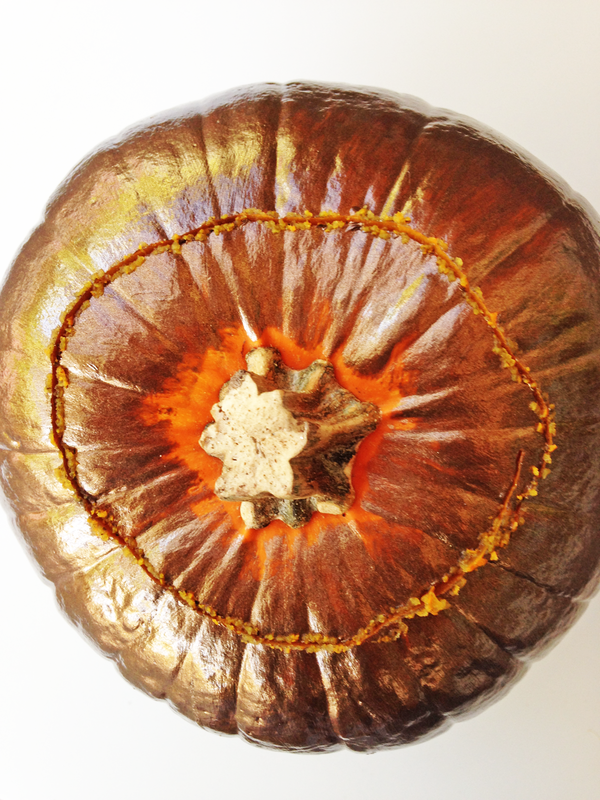 To achieve the look I have, you would want to put a dark brown solid coat first and then use the metallic brown over the dark brown to give the finished pumpkin that glistening touch! 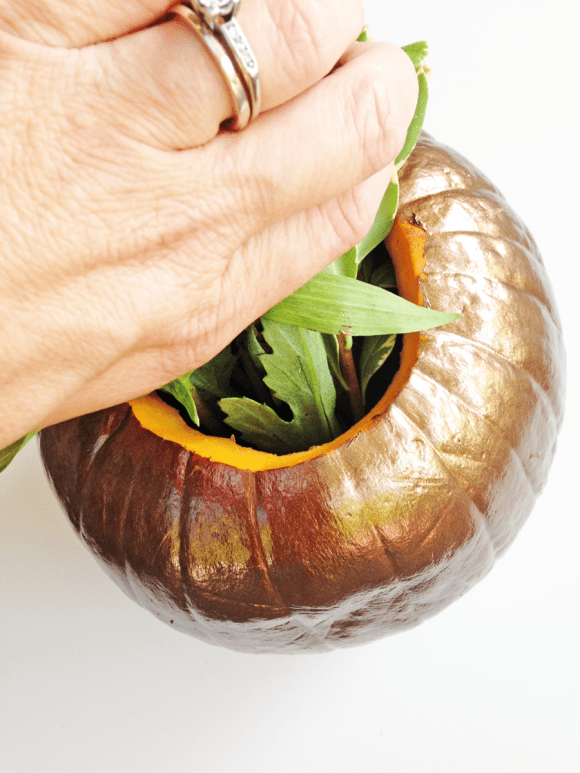 If you choose to use just the metallic paint, you will need to do 5+ coats. 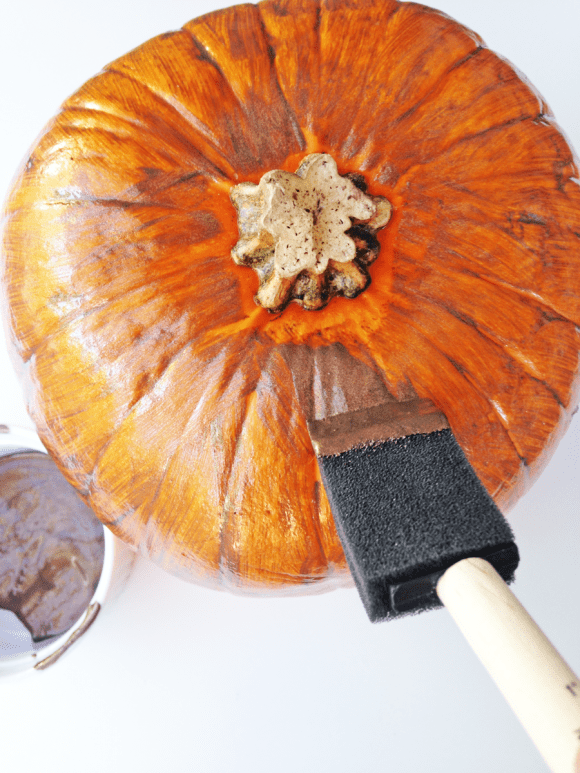 Once the paint is dry, carve the top of the pumpkin and clean out all the pulp and seeds. 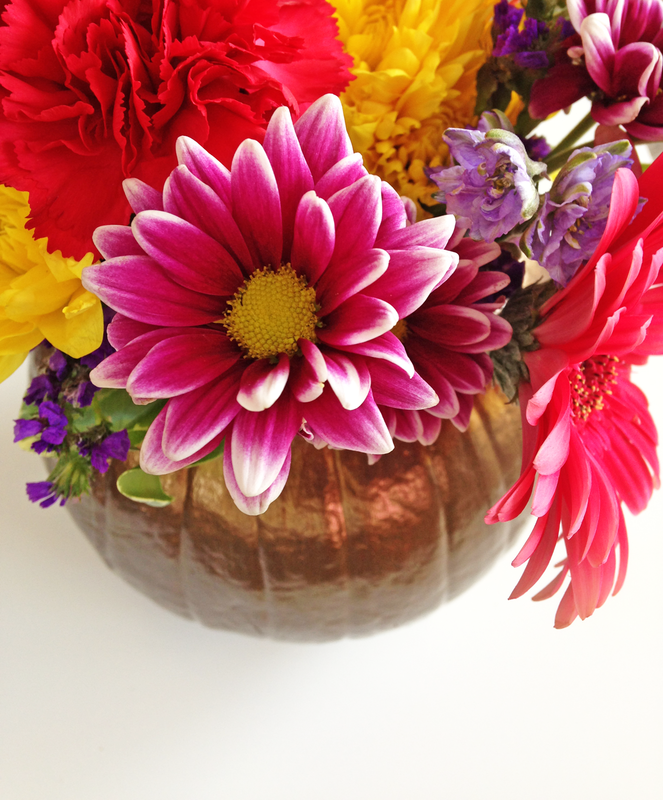 Fill pumpkin with water and place those pretty Fall flowers in! I’ve seen these pumpkin vases painted pink, metallic and even glittered. Place on your dining table for Thanksgiving dinner, on the fireplace mantel, or even in your guest bathroom. I love how it turned out, don’t you?